It's been a dream year for 18-year-old Wolverhampton Wanderers midfielder Morgan Gibbs-White. Twelve months ago this week Gibbs-White scored in the final as England beat Spain to win the FIFA Under-17 World Cup in India. One year on, he is now a Premier League player. 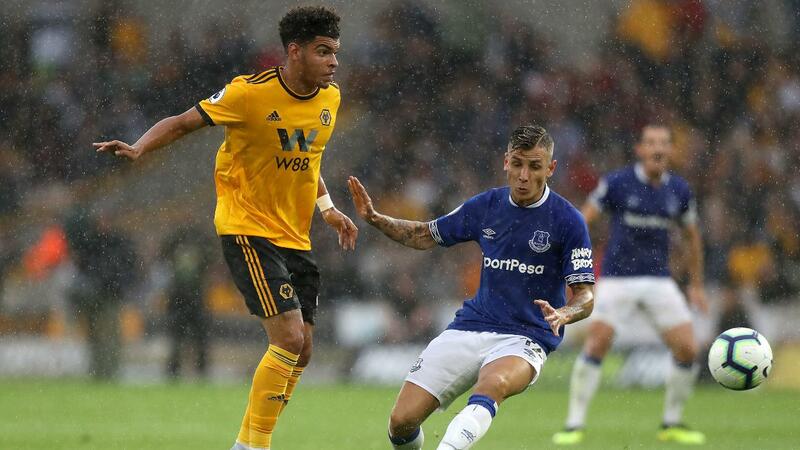 The Wolves Academy product has made four appearances this season and received his Premier League Debut Ball this month to mark his first match in the competition, the opening fixture at home to Everton. "To receive such an amazing award, it's what you dream of as a kid," Gibbs-White said. "And to know that I've got it is a massive achievement and I can go home, show my mum and dad, and they'll be thrilled with joy. "Even before the [Everton] game, I called my dad and I was like, 'I'm on the bench, I'm on the bench!' He was so calm and kept me composed. "I just sat back and looked around me and took it all in and thought, 'Yeah, this is my moment, I'm going to take it now.' "
Gibbs-White's debut came as a substitute for Joao Moutinho, who has won UEFA Euro 2016 with Portugal and has established a formidable central-midfield partnership with international team-mate Ruben Neves. Rather than being intimidated, the English youngster has embraced the challenge and has set his sights on forcing Nuno Espirito Santo to pick him over the Portuguese pair. "To come on for a player that's had so much experience and is such a good technical player, and for him to say, 'Good luck,' was a massive thing for me," Gibbs-White said. "They've brought in some unbelievable players. The likes of Joao Moutinho, Raul Jimenez. "To play with those sort of players, it boosts you as a player because you want to be like them, you want to perform like them and you want to, if anything, be better than them. "So, it definitely gives you more confidence."